It’s a question on many residential homeowner’s minds. How does one approach this dilemma with the myriad of technical jargon and information overkill? Not so long ago solar power was reserved for remote locations where there was no electricity or if you want to get remote, satellites in outer space! However, a lot has changed over the past few years and for good reason too. There has been a global movement to phase out fossil fuels in the coming decades and switch to cleaner energy sources. Renewable energy sources are one of these technologies that will assist humanity in their path to more sustainable clean energy sources. Governments introduced subsidies to stimulate the uptake of renewables, and it appeared to work. 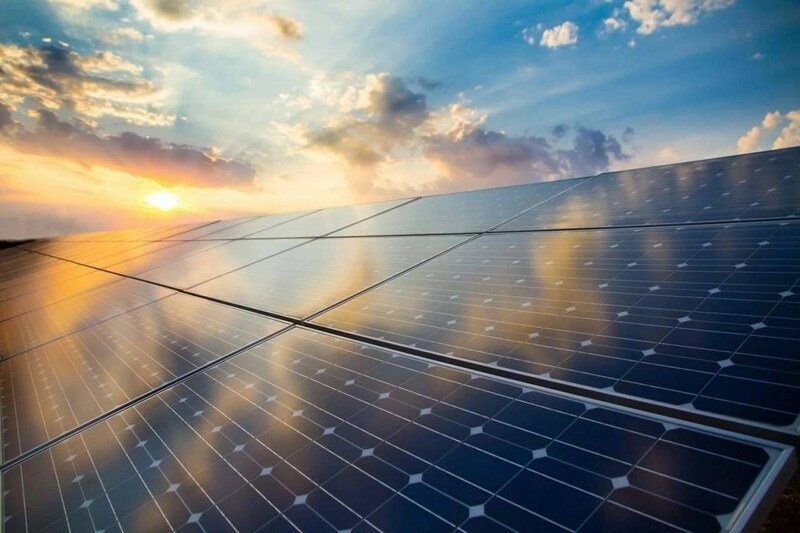 The grants created a huge demand for renewable’s, with increased investment and competition the cost of renewable energy such as Solar PV has come down drastically. Now making them more affordable and in some instances cheaper than actual utility grid electricity. Whereas before payback periods for solar PV was more than 15 years, now the payback period has dropped to just a few years. What are the benefits of installing a rooftop solar system though? Solar Power can be classified as an investment, it not only increases the value of your home or business premises, but it locks in your electricity kWh charge. Whereas your monthly kWh utility bill is subjected to inflation & your Solar PV system isn’t. A kWh produced today will cost you the same in 10 years from now should you invest in Solar PV. Before investing in Solar though, there are few things to take into consideration, and it’s recommended to do your homework here. Before looking into anything else, this is your starting point. How much roof space do you have available? What direction is it facing? The amount of roof space you have available will dictate to a certain extent how many solar panels you can install on your roof. However, the direction of your roof also plays a part in this. If you live in the Northern Hemisphere, then the optimal direction to install your solar panels is South Facing. Determine the amount of roof space facing South then use this space for installing your solar PV panels. Having the PV panels facing South will optimize your PV energy yield. Solar panels can be installed on East and West facing roofs and in some cases, this is ideal. Especially for residential homes. Installing your solar panels in this configuration maximizes your solar output during the mornings and late afternoons. Most homes consume the most electricity during the early mornings and late afternoons. The more roof space you have facing either South, East or West the better, as it means there is more space to install solar panels and increase your solar output. The tilt angle of your roof also plays an important part in how much energy your Solar PV system will generate. Having the correct tilt angle for the installed solar panel’s increases the energy yield of the Solar PV system. The best solar panel angle for your home depends not only on where you live but also what time of year you will be using your solar panels the most. For panels that you will want to use all year and not have to touch once they are installed, you will want to make sure your solar panels are installed at an optimal angle. There are many websites that provide the required formulas for calculating this for you. Your type of roof is another important part of the equation when it comes to installing solar on your home, although with technological advances, it’s less significant today than a few years ago. PV panel mounting systems have matured. As a result, many different roof types can be adapted to solar power. The roof mounting systems are designed to ensure the solar panels are secure enough to withstand high winds and other environmental conditions for the lifespan of the panels. Metal roofs are the best types of roofs for installing solar panels, as metal roofs are lighter than tiled or concrete roofs and can support more weight. There are roof mounting systems for all different types of roofs, but it’s worth confirming first if your roof can take the extra load of PV panels. On average roof-mounted solar panel installations weigh 10 – 20 kg per square meter, including the mounting system. This is within the weight limit of most modern roofing systems. If your roof is old and requires replacing, then it makes more sense to replace the roof before installing a solar PV system that will be on your roof for the next 20 to 30 years! Shading is a definite NO for Solar PV systems If shade covers a single panel or multiple solar panels during the day, then this severely reduces the amount of electrical solar power produced. Shading can originate from nearby obstructions such as walls, trees or even other buildings. During the period the PV panel or panels are covered by shade, electricity generation will be reduced. It’s advisable to do a roof assessment to identify shaded areas during the day and avoid installing PV panels in those specific areas. As you can already see a fair amount of planning goes into deciding on whether solar power is ideal for you and also the installation of Solar PV systems. You will also need to identify a suitable place to install the PV inverters. PV inverters convert the DC power from the PV panels to AC power. The PV inverter should be mounted as close as possible to the Solar Panels and the mains as possible. After you have done your homework and checked to see if your roof is suitable for solar, get hold of a reputable and trusted Solar PV installer for your type of site. Whether it be a residential home or a business. They should have experience and will be able to guide you through the whole process of designing and installing an optimal PV system for you. That will give you many years of clean hassle free and cheap energy!